Students should apply by the April 1st priority date to receive a reservation time. Applications received after April 1st will be able to sign up during open sign up on April 25th. There is time for students to reach out to potential roommates through an automatic match, or to confirm a preferred roommate. 3. Apply for a Living Learning Community? Students may also complete their application to live in a Living Learning or Theme community, who have a priority to reserve their rooms before the general room reservation process begins. After the priority application date ends, students will use their reservation time to log in to the system and select a space available. As we anticipate a high volume of phone calls during the housing reservation process, we encourage you to utilize resources such as this website, or send us an email at info@housing.utah.edu for a faster response. We appreciate your patience during this time! Additionally, read up on the answers to all of your housing application questions by reviewing our Housing FAQ’s (which will be available soon). Students that have been admitted to the University of Utah may complete their online housing application, search for and reserve a room, make payments, match up with a roommate, and sign up for optional services through their Housing U account. Students may access Housing U by logging in to the Campus Information Services (CIS) website and selecting Housing U under the Student Housing section. It is important to know that Housing & Residential Education does not match students to be roommates and does not assign students to rooms. Undergraduate students living on-campus through Housing & Residential Education are required to enroll in a minimum of 12-credit hours. 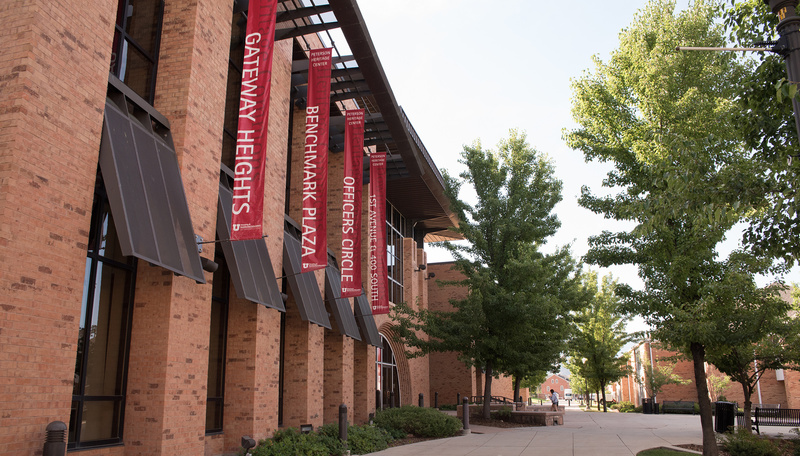 Graduate students living on-campus are required to enroll in a minimum of 6-credit hours. Prospective residents should make note of this requirement when applying for housing beginning February 9, 2019. If exceptional or extenuating circumstances might keep a student from meeting the minimum credit hours requirement during their time on campus an appeal can be submitted. These circumstances may include medical, financial hardship, expected graduation, or other “unique and unusual” considerations. In order to live on campus with less than the required amount of credits an exception must be granted. Please fill out the “Request for Credit-Hour Exception” form below. We will begin processing your request upon completion of the form. Should you have questions on the form or about the process, please contact Michael Pepe at m.pepe@housing.utah.edu. Students will be notified of their approval or denial via their Umail account. Medical (A medical exception must be accompanied by a waiver sent by the Center for Disability & Access). Financial (Requests for exemption based on financial hardship must include documentation of financial hardship that requires dropping below a full time credit load). Expected Graduation (Students that require less than a full time class load to graduate during the period of their housing contract may submit an exception form. This exception must include a Degree Audit & Planning form from CIS). Specialized Course Enrollment (Students enrolled in coursework (i.e. Math 101) that do not count toward semester credit-course load may submit documentation of enrollment to count towards this total credit requirement). Special Circumstances (Requests for exemption in special circumstances defined as “unique and unusual” will be considered. Please attach additional documentation to fully explain your exemption request). Please upload any additional documentation here (in the form of a PDF). Winter Stayover 2018 Winter Stayover applications are processed through the University Guest House. Students can make a reservation at any time and do not need to apply through HRE. More details are available here. Spring 2019 Housing application will open November 1, 2018. Some spaces are available, please call our office if you have questions. 2019-2020 Academic Year Housing application will become available February 9, 2019. 2019 Summer Housing application will become available February 9, 2019. May Stayover: Application available starting April 2, due April 20. *Must be a Spring & Summer 2019 resident to apply. August Stayover: Application available starting July 2, due July 20. *Must be a Summer 2018 resident and have a 2019-2020 contract to apply. Please be aware that it normally takes 24-48 hours from the first time a student logs in to the Campus Information Systems (CIS) page for the Housing U section to show on new student’s CIS page. Fill out contact information, view and agree to the Housing & Residential Education policies, sign an electronic agreement and paying the $130 non-refundable application fee. Students must complete these parts of the housing application and pay the application fee by the priority housing application date in order to receive a reservation time. Students do not have to be paired with a roommate to reserve a room during their reservation time. Roommate matching is based on what students selected in their profile questions earlier in the housing application. Make sure to review the Living Learning and Theme communities you are interested in as some require a separate application to the partner. There is an earlier priority date for the application consideration for Living Learning and Theme Communities. We want to ensure students interested in these communities have an option to reserve prior to the start of the other residential communities. For the 2019-2020 Academic Year housing application, students will be given a reservation time if they submitted their housing application prior to the priority deadline. Starting at this reservation time, students will be able to access the reservation portion of the application. Summer or spring semester only contracts will not require a reservation time for students to reserve a room. Students will be able to select a room, choose a meal plan and add optional services. Students will also be required to pay the $200 reservation fee within 72 hours of selecting a room. This agreement is a copy of the agreement that students agree to in the housing application process for reference. If you no longer intend to live on campus, please visit the Move Out page, paying particular attention to the Contract Cancellation information. In addition, if you are a newly admitted student and you will not be attending the University of Utah, please contact the HRE Office at info@housing.utah.edu or 801-587-2002. In addition, you will need to alert the Office of Admissions, follow the “Not Attending” link on the right hand side of the page and complete the survey.